MainAll NewsForeign AffairsUS Twitter campaign aimed at Palestinian Arabs? US Special Envoy publishes series of tweets in multiple languages signed by other administration officials criticizing PA, Hamas. A campaign of messages to the Palestinian Arabs? 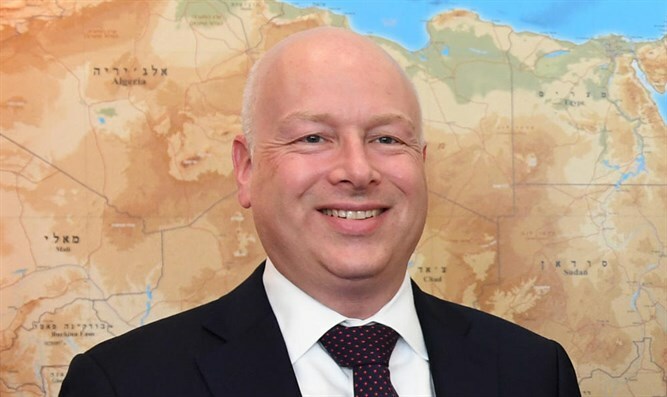 In recent days, US special envoy to the Middle East Jason Greenblatt has published a series of criticisms against the leadership in Gaza and the Palestinian Authority. This evening he wrote that "the United States has invested more money in helping the Palestinian people than any other country in the world." The tweet on Twitter published in Hebrew, English and Arabic is signed by President Trump's advisor and son-in-law Jared Kushner and US Ambassador to Israel David Friedman. Three days ago, Greenblatt posted a message saying: "At the expense of the Palestinian people, Hamas is fighting a morally bankrupt decades-old war that has long been lost." The day before, the three wrote that "the Palestinians of Gaza are trapped in a vicious cycle in which corrupt and hateful leadership that has provokes conflicts leading to reduced opportunities and the poverty and hopelessness that follow." The campaign began with an extraordinary response by the US administration to PA chairman Mahmoud Abbas' attack against President Trump's peace plan which has been working on the US for a long time. President Trump's envoy to the Middle East, Jason Greenblatt, published a tweet in Hebrew, English and Arabic, signed by US Ambassador to the United Nations Nicky Hailey, US Ambassador David Friedman and senior advisor Jared Kushner. "No one will be fully pleased with our proposal, but that is the way it must be if real peace is to be achieved. Peace can only succeed only if it is based on realities," Greenblatt wrote in his Twitter account.